Our Accelerated Detoxification procedure stabilizes the patients for 2-3 days before the opiates are flushed off the brain receptors. This allows the patients’ body to adjust much more comfortably and the risks are much lower. We avoid general anesthesia, which is dangerous and has side effects. The process: Before, During & After Rapid Opiate Detox. A Named Supervisor – A substance-free individual, often a friend or relative, must be arranged and committed to supporting the individual in undertaking detox, coordinating care arrangements and medical appointments, and overseeing the consumption of any post-detox treatments such as oral Naltrexone or anti-depressants. This individual should also understand any aftercare arrangements that are in place. Assigned Recovery Professional – Such as a counsellor, support worker, social care provider, etc. This individual will liaise with Detox Plus on the patient’s behalf and support them during re-integration and any aftercare work undertaken. Referrer – Referral into the Detox Plus Rapid Opiate Detox service can be made simply by the individual themselves, or by medical or health care professionals such as GP or community drug team specialists. All 3 of the above individuals must be recorded with Detox Plus before admission. Where an individual has multiple non-opiate addictions as well as opiates, a customised care plan can be arranged. The first sedation medication is given and sedation continues throughout the withdrawal symptom period. Care staff closely monitor your condition throughout. If receiving Naltrexone as part of aftercare, the first dosage is given on day 4, to help eradicate any remaining opiates. From day 4 to day 5, patients are free to contact their nominated carers by telephone. On day 5, further Naltrexone is given. Following a satisfactory review by the clinic psychiatrist, most patients are successfully discharged on day 10 free of opiates. You will be discharged with all relevant information and required medication, into the care of your nominated individual, or for example, into further care such as residential rehab. Tiredness and fatigue should be expected in the week following Rapid Opiate Detox, and work, family, and social arrangements should be adjusted accordingly. Any urgent concerns should be addressed to your GP or emergency services. Most patients at this point progress to the next stage of their planned aftercare program, either in the form of full residential rehabilitation program, or a custom combination of external counselling and therapeutic support from multiple sources. Greater support levels post-discharge typically result in better long term outcomes. Detox Plus work in close connection with community support teams, aftercare groups, mutual aid groups, and narcotics anonymous, among others, and can help co-ordinate your re-integration program. 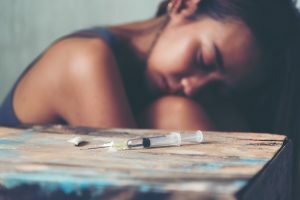 Successful long term recovery means working at the root of opiate addiction, understanding behavioural and environmental triggers, identifying underling addictive patterns, and their psychological underpinnings. Any addiction is simply the choice of a specific substance as a coping mechanism for behavioural drivers such as trauma, grief, relationship issues, stress, etc and it is the emotional and psychological work on these core issues which helps manifest superior long term outcomes.